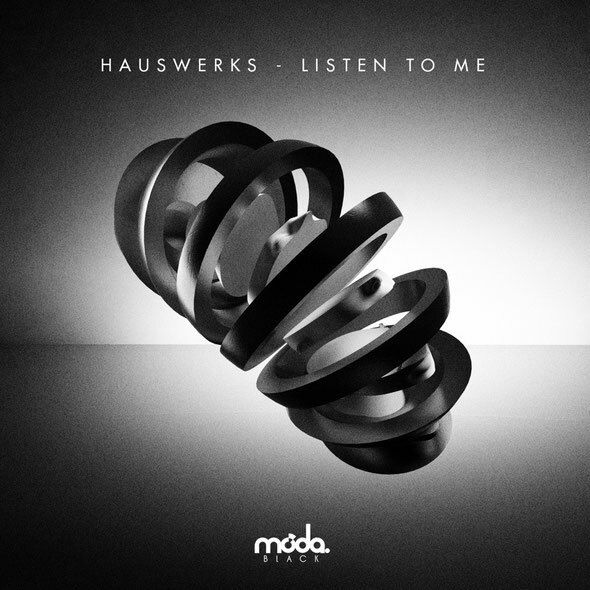 Hauswerks has possibly been one of the UK’s unsung heroes of electronic music for quite some time now, having racked up a string of material on leading imprints such as Suara, Azuli, Great Stuff and 303 Lovers, as well as engineering for many of the industry's leading names. Here he returns to Moda Black, following a slew of EPs and single cuts on the imprint over the past few years. Having lived in Ibiza in Ibiza for six years it's no surprise that drums are the core element to the Hauswerks sound. Intricate, warm and soulful, his grooves work well on dance floors. The release kicks off with title cut ‘Listen To Me’, an energy filled house track powered by cut-up vocals, driving toms and crowd recordings. The infectiously hooky sub, and saw wave bass sounds then run alongside rave style chord progressions to create a classic-meets-contemporary workout. 'Do The Pop' maintains the signature Hauswerks aesthetics, however opting for a more jacking feel, low-slung agenda. Subtle sample edits loop alongside lazy chord stabs and a spoken vocal, which tells the listener exactly what the deal is. The package is then rounded off with ‘Walk The Walk’, a hypnotic, bass-led track. Hauswerks employs penetrating low-end tones as the driving force here, alongside sturdy rhythms as swirling dub echoes. Baroque changes to the drum-programming make for an ever- evolving, dynamic listen, that demonstrates Hauswerks' ear for details.